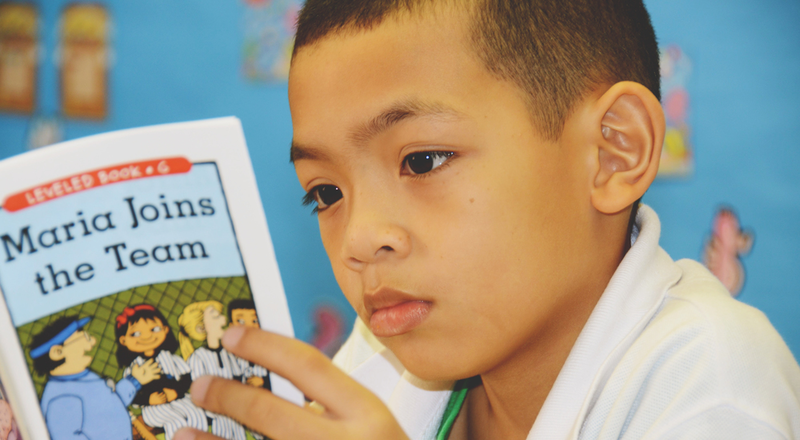 Our mission is to develop and grow the reading skills of underserved Dallas children ages 3-12 so that they succeed in school and graduate prepared to live productive lives. Our staff includes 5 trained education professionals who provide the bulk of reading instruction to students, with the support of more than 200 volunteer reading buddies. Our after-school students receive 8 hours of additional reading tutoring per week, and in-school students receive at least 2 hours of tutoring per week. This seriously improves both their reading and their overall success in school. Our summer camp students benefit from six weeks of reading and enrichment. In 2018, 96 percent of R2L campers did not experience the summer slide, meaning they maintained or grew their reading skills and went back to school ready to learn. We are committed to serving families in West Dallas with love, patience and kindness. We are committed to a high level of service as required by our mission in this relational, long-term process. We believe that being able to read and communicate is fundamental to the ability of any individual, group, organization and society to have and express its voice in the creation, protection and preservation of its rights and privileges. We are committed to maintaining a tradition of fiscal responsibility and prudent budgeting. We believe that reading is important to living and to the process of finding meaning in life through the revelation of truth in God’s word. We believe that it is important for everyone involved in our mission from staff and volunteers to students and parents to show respect and support. We seek out ways to regularly have fun at Readers 2 Leaders and to make it engaging, fun and rewarding for parents, kids, volunteers and staff.